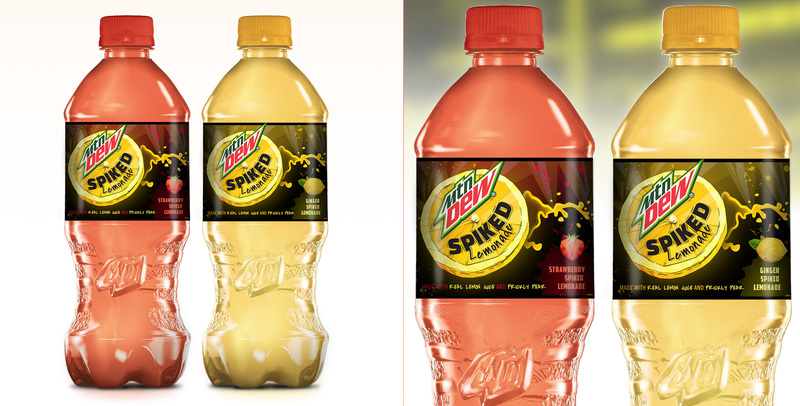 Mtn Dew had a new flavor down the pipeline, Spiked Lemonade. Of course with Dew, nothing can look tame or unadventurous. 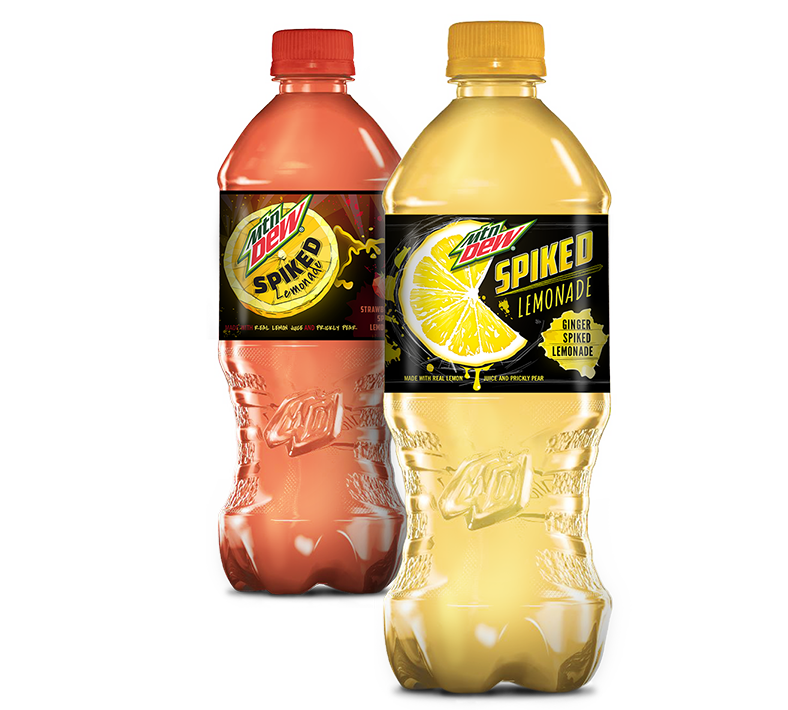 With two variations of the Lemonade flavor, I had two color profiles to work with for the labels. 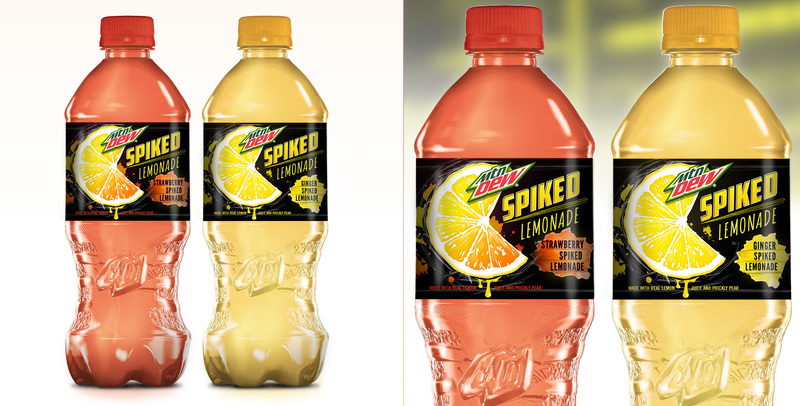 I intended to lean into the spiked aspect of the flavor heavily and create something that felt electric. For this concept I approached a sketchy, illustrative style - focused around a lemon slice that appeared as though it were flying across the space. The lemon wedge also resembled and paired well with some recent Mtn Dew brand elements, geometric diagonal shapes, that are shown in the background. The layout leaves a nice space for the flavor profile and name to be shown on the label, fitting nicely in the bottom right of the design. For the second concept, again I used a lemon slice, but this version was a little more realistically rendered. The visuals were still brought up in drama with increased contrast and dripping lemon juice.